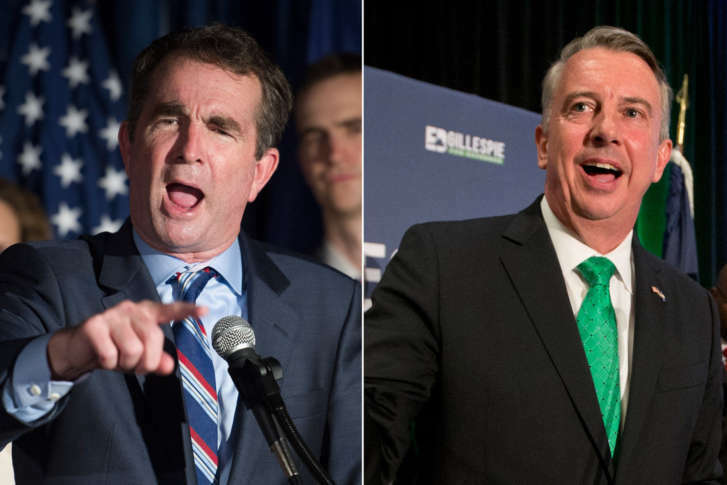 WASHINGTON — Be ready to see an increase of negative ads in the Virginia governor’s race as polls continue to tighten entering the final two weeks before the Nov. 7 election. Right now, the race is too close to call. But one thing is certain: the gloves have come off and that means you will be seeing plenty of attack ads. Ads from Republican Ed Gillespie’s campaign go after Democrat Ralph Northam, blaming him for the growth of MS-13 in Virginia. Northam’s campaign counters back by saying Gillespie has to go negative because he doesn’t have any good ideas. Bob Denton, an expert on Virginia politics at Virginia Tech, says from here on out, you will be seeing a lot more of these attack ads. “It’s a base race and so the messaging now is going to be much more targeted toward the core constituency for both Democrats and Republicans,” Denton said. Denton isn’t surprised that the gloves are off, especially since the race is so close. “So if I’m a candidate and I’ve given you my issue positions and I have presented my resume. I’m not at 50 percent. Then I’ve got to get you to vote against the other person,” he said. Polls show that neither candidate is polling at 50 percent, but that the candidates are polling in the 40 to 45 percent range. And because of that, Denton said he’s not surprised it’s such as close race. In 2013, McAuliffe won the governor’s race with just barely over 2 percent, Denton said. That was in the U.S. senate race against Sen. Mark Warner, D-Va. But Denton says third-party money means there will be many more nasty ads.